Monaco doesn't always produce the most exciting races, but does that mean F1 needs to get rid of it? 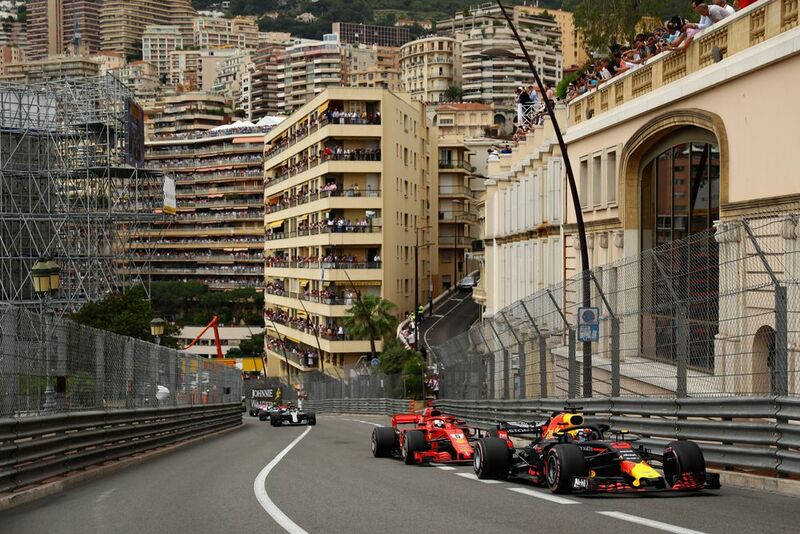 Despite the fact that Daniel Ricciardo put in a stonking pole lap and followed it up with a seriously impressive drive with a broken car, much of the chatter in the days since has been whether Monaco should still have a place on the F1 calendar. So, is it a glorious one-off event with flaws we should accept in the name of the history and spectacle of cars going at ridiculous speeds around such a narrow circuit? Or has the sport evolved so far beyond the race that it’s time for Monaco to finally be dropped (or at the very least altered) from the calendar? Fans, drivers, and pundits alike have been sharing their thoughts on Twitter - here are a selection of viewpoints. IMO Monaco is only on the calendar for historic / marketing reasons. The track itself is entirely inappropriate for today's cars. I understand why it is still part of the championship but I don't think it should be. Disagree... Monaco is on calendar because it represents everything that F1 is. Where it is about inches and millimeters that seperate you from being P1 or P22. If you are true racer and enjoy F1 then this is not even a debate Part of Formula 1 and will always be. I'm sure being there and experiencing the whole Monaco atmosphere is a different animal to those of us just tuning in to watch the race. I'll be honest, unless there's rain forecast, Monaco is the one GP I don't mind missing, it's a procession unfortunately. I think if there were still only 14/15 races it it would be taking up space but when there’s 20+ I think there’s room for it.If for nothing else than to marvel at the ridiculous speed being carried through corners. Plus on the occasions when it’s wet it becomes of the best races! I think its fair if we as fans get 20 races that are primarily for us to enjoy, and the drivers get 1 race thats primarily for them, you don't have to watch it if you don't want to. Till the end of time. If #F1 continues to sell out the heritage tracks the very soul of #F1 will be lost. The racing may be boring in Monaco but the whole weekend is one fans wouldn't want to miss. Rather Monaco than some of the tracks we have with runoffs the size of car parks. Anyone justifying the need for Monaco GP in the Calendar will emphasise the heritage, glamor & track difficulty... but, will fail to acknowledge the track isn’t compatible with the current gen. cars. 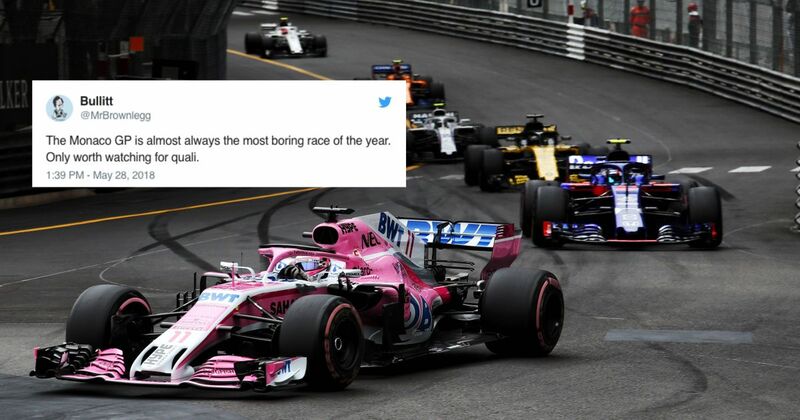 The Monaco GP is almost always the most boring race of the year. Only worth watching for quali. Still seeing comments on Monaco GP. Those slating it for lack of passing have fundamental misunderstanding of what motor racing is. Give me a tense race with no passing over a DRS snorefest any day. 1981 Spain anyone? Personally, I hate the Monaco GP. Once the awe has worn off from the seeing the cars fly through the Swimming Pool section (usually sometime during the first practice session) the realisation quickly dawns that modern F1 has outgrown the event and that unless something bonkers happens, it’s not going to be a good race. I’m sure it’s a completely different experience being there, but watching it at home leaves me completely cold, a matter not helped by the fact that a few hours later comes the Indy 500, a race which I always find utterly enthralling. But that said, I would hate to see Monaco dropped from the calendar. So what if the races are regularly boring? Other circuits, from Spa to Sochi, Monza to Montreal, and Silverstone to Singapore have all churned out their fair share of borefests. That’s the nature of F1. In fact, as far as this year’s race went, I actually thought it was about as good as you can reasonably expect a Monaco GP to be without a ton of safety cars, collisions, or rain. There was tyre uncertainty, different strategies and - courtesy of Max Verstappen’s Saturday mishap - a reasonable amount of overtaking. I don’t even care that drivers were lapping several seconds off the pace they could have been doing, because to the naked eye, I certainly couldn’t tell. But whilst Monaco shouldn’t be dropped, I think it should be changed - whether that’s in terms of layout, or whether the race should have some special rules to really help what is supposed to be ‘the jewel in the crown’ of F1 stand out even more.